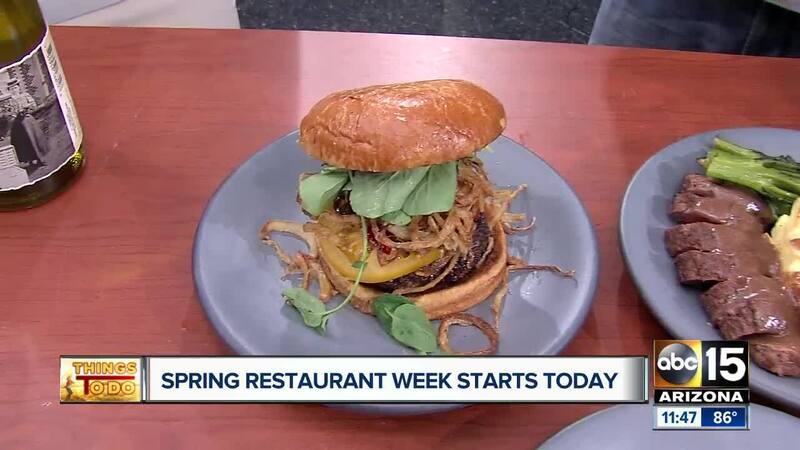 Arizona Restaurant Week returns May 18-27, 2018. More than 100 restaurants in the Valley will be featured throughout the 10-day tasting tour. Each restaurant will offer a pre-fixe meal including an appetizer, entree and dessert for $33 or $44. How many restaurants are on your "need to try" list? With more than 100 restaurants to choose from, there is bound to be at least one that you haven't been to before. 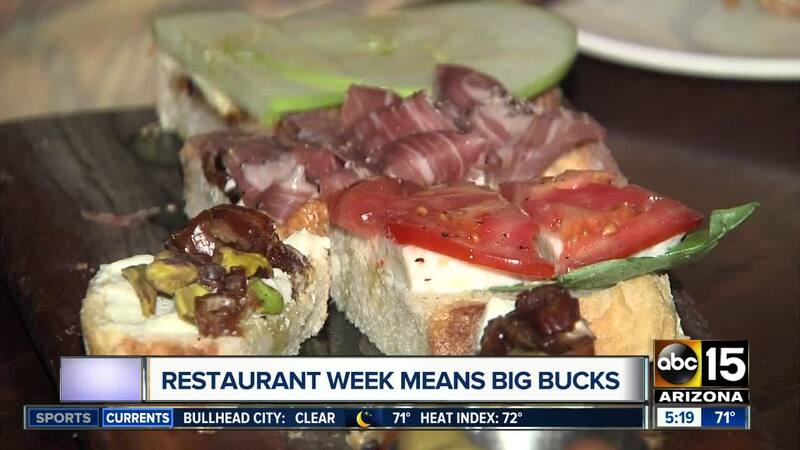 Restaurant week is a great way to sample a new restaurant's menu, atmosphere and service. This year's list features a wide variety of restaurant styles including fast-casual, casual dine-in, steakhouses and fancy-schmancy ones. They run the gamut of Italian, Mexican, American, seafood, Mediterranean, and vegetarian. Who knows, you might just find a new favorite. That's right. You can actually try a new restaurant and save some money at the same time. Like we said above, all of the restaurants will have a three-course pre-fixe meal for $33 or $44. That includes an appetizer, entree and dessert. Some restaurants even include a beer or glass of wine. Others are $33 or $44 per couple, such as at Charr or Ajo's Mexican Cafe. You can view the entire list, here . Another way to see the savings is to price the items out individually. As an example, The Stockyard's restaurant week menu is $44 per person. You get a choice of soup or salad ($6-$9 regular) for an appetizer; entrees include 8-ounce filet mignon ($45 regular), 12-ounce prime rib ($42 regular) or seafood gratin ($26); and dessert, which is $9 regularly. Individually, you'd be paying a lot more than the restaurant week price. Same goes for Mowry and Cotton, a new restaurant at The Phoenician. The Restaurant Week menu is $33 per person for an appetizer, entree and dessert. If you were to eat there on a regular night, the appetizers range in price from $12-$16, entrees are $18-$29, and dessert is $7. Add them up together and it would be more than $33. You will have to do some research to compare pricing, but it can pay off if you do. It is another way to support the Arizona chefs and restaurateurs that make up the Valley's food scene. While there are some chain restaurants on the list, many of them are local restaurants, including chef Matthew Carter's Fat Ox in Scottsdale (he also opened The Mission and Zinc Bistro), Born & Raised Hospitality's Asian concept, Clever Koi; and The Maggiore Group's The Sicilian Butcher and Tomaso's When In Rome. Check out the list of participating restaurants and research their menus.